Belair Kit Cutters are pleased to be accredited cutters for some of the modelling world's best designers. Their names are synonymous with quality, but for those not familiar with the names we thought a brief summary would be helpful. DAVE PLATT - UK born, but now based in Florida, USA, Dave is universally know as 'Mr Scale' and justifiably so. His designs are well drafted and the plans include lots of scale detail. Belair cut the full range of Dave's models and can supply genuine accessories too. MEISTER SCALE - Meister scale have a justifiable reputation for producing easy to build and easy to fly scale Warbirds. 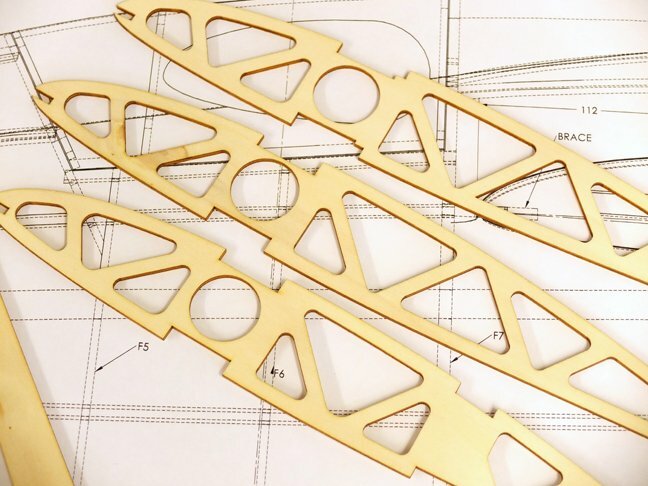 The easy to follow plans make construction a simple process and as most feature semi-flat bottom section airfoils, they are amongst the easiest Warbirds to fly. KERRY STERNER - Want an all wood Jet? The Vampire and Vixen from Sterner are the models to turn to. Accurate and detailed CAD plans, contest proven and easy to assemble, the designs will reward the builder.